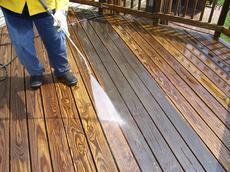 Our Services | DeckMaster Inc. Learn more about the different services that we offer. DeckMaster™ uses a revolutionary PressureLess™ cleaning and preservation system that removes dirt, debris and old sealants and stains without harming the wood’s composition. 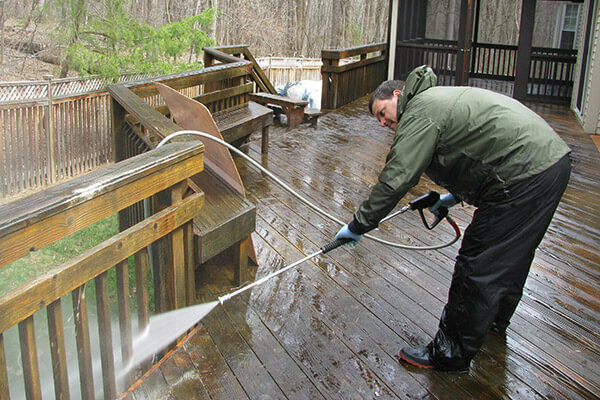 Unlike power washing, our innovative cleaning process does not require the high pressure that can damage your deck wood. Our process does not contain bleach or other harmful chemicals and won’t cause your wood to dry out and crack or warp. 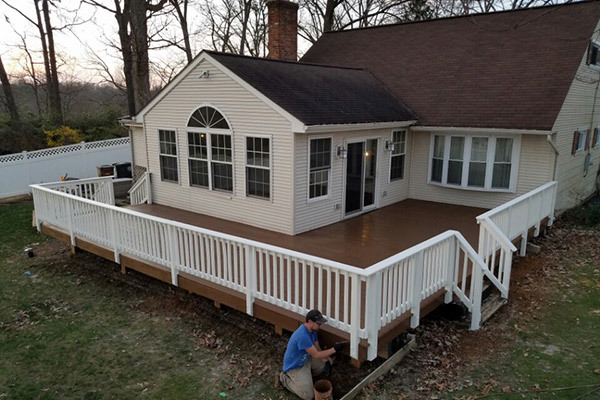 If your deck needs repairs, whether that be replacing damaged boards or handrails, tightening loose boards, or any other damage to your deck, the experts here at DeckMaster will return your deck to the original, proper condition. We aim to be fast and on schedule, without sacrificing quality. 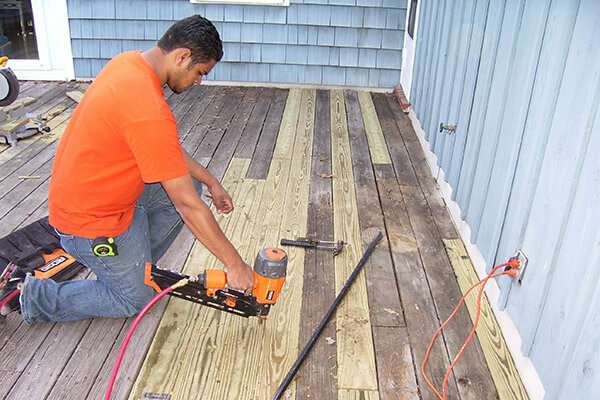 Our technicians are trained and certified and will make sure your deck is safe. 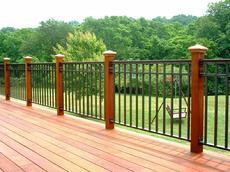 A deck adds value, functionality, and style to your home in ways that nothing else can. 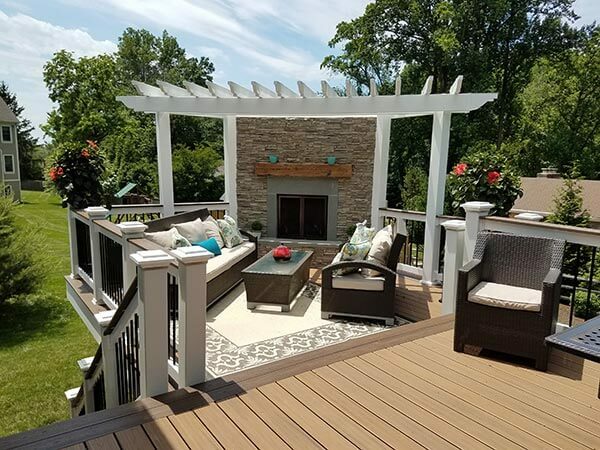 From start to finish, design to construction, DeckMaster™ has all of the tools, resources, and experience to build you the deck you’ve been dreaming of. 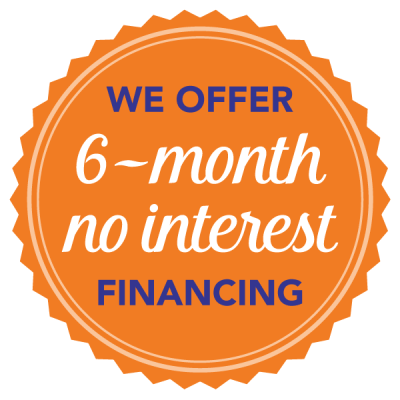 If you build your fence with DeckMaster™, you will receive the first maintenance at a discounted rate. Not all wood is the same. It’s important to know the differences between the various types of wood in order to choose the right service for the job. DeckMaster™ will perform an evaluation to in order to recommend the service that will be best suited to your deck or fence. We specialize in all types of exotic woods, such as IPE, cedar, redwood, mahogany and teak. Just like our deck cleaning service, we use our revolutionary PressureLess™ cleaning and preservation system to give your fence a safe cleaning that protects the wood’s structure from decay, cracking, and warping. 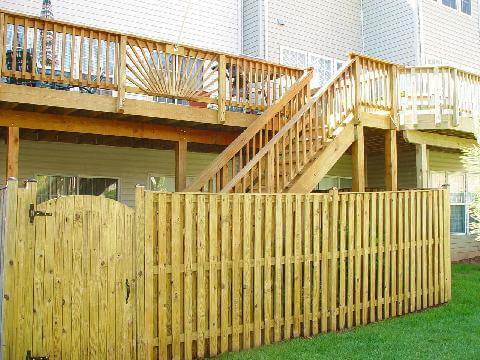 With regular fence cleanings, your wood can look like new for years to come. Sometimes accidents happen that result in a damaged fence. Other times, fences are damaged simply due to the passing of years. When your fence needs repair, call DeckMaster. We have all of the necessary resources and knowledge to aid you in repair of your wood, composite, vinyl, or aluminum fence. 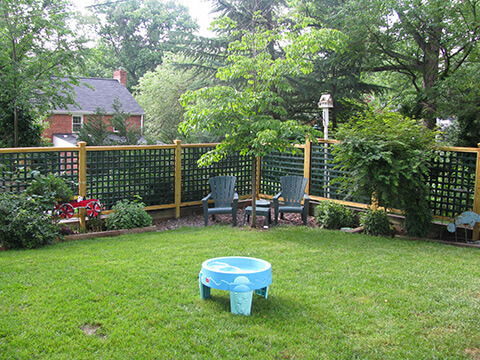 DeckMaster™ provides the complete design and building of high quality fences. We specialize in all types of wood, including pressure treated wood, mahogany, IPE, cedar and redwood. 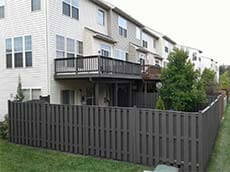 We also build and maintain composite fences (see below for details). We will not only build your fence, we will also maintain it in order to prolong its life and beauty. If you build your fence with DeckMaster™, you will receive the first maintenance at a discounted rate.